The OS, Windows 10 is widely popular among people, and is the latest release by Microsoft corporation under OS development sector. it’s said to be very advanced operating system till date and equipped with a number of amazing features along with high compatibility to applications. Also, using this system software is very easy due to its interactive and user friendly interface that makes it the most reliable operating system among all users. Since the OS is in the latest trait, it has also equipped with new and advanced security features that can suit personal as well as enterprise necessities. Although this operating system is probably complete and offers regular updates too to fix found bugs to assure users having the safest versions install on their PC, but misfortune happens even with this powerful OS. As a result, the system starts to throw errors, bugs, and more problematic issues turning PC usage irritating. Such errors will keep interfering all possible functions or features unless they are fixed. According to a Windows PC user it’s really hectic to face problems while using their computers, and it’s likely to happen also with Windows 10. Some common problems may include BSOD error messages, unexpected slow down in system performance, repeated errors, and more. People often consider a clean install of Windows on such computers, and think it’s the only solution to fix the issues. But, this can be precious as well if some data loss type condition takes place. Re-installing Windows 10 to solve PC problems might be an easy solution, but not a safe and complete way at all. 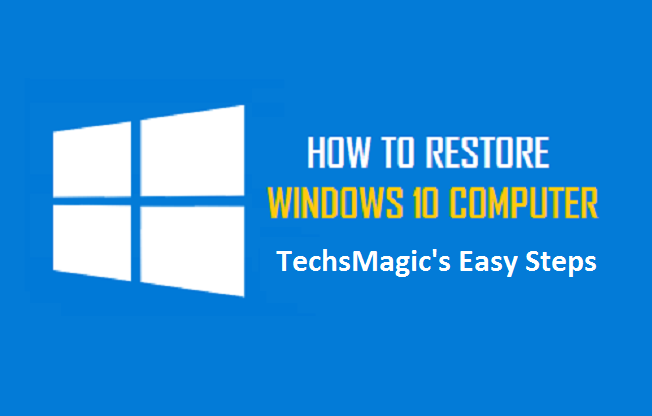 To repair Windows 10 OS in such unfortunate circumstances, the software is equipped with a number of recovery options that can solve most of the problems in minutes. In this article, we are going to discuss such recovery options or methods which can be easily applied to fix PC errors without a complete Re-installation of Windows. Step 1. Press Win+S key combination, and write Restore. Step 2. 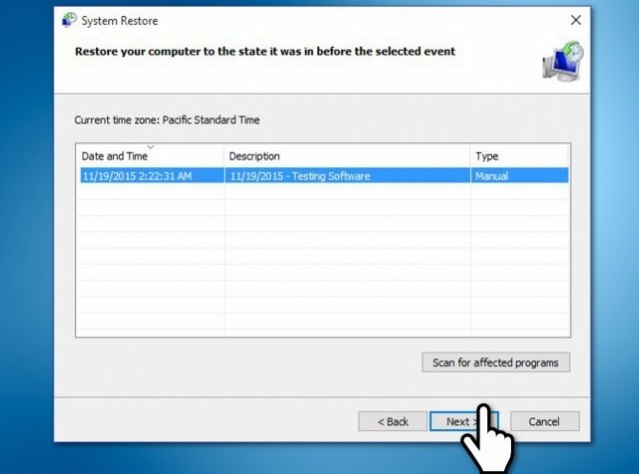 Make a hit on Open System Restore button and click Next. Step 3. 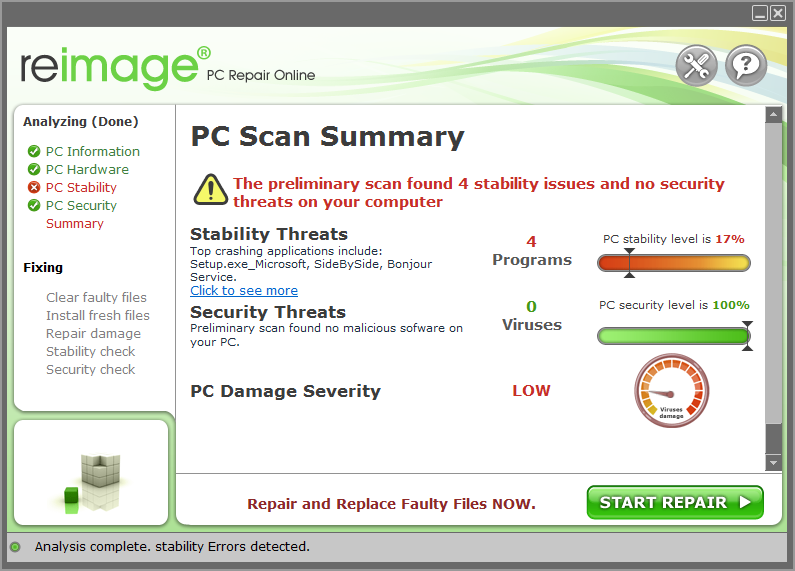 Choose the restore point on which your system was error free, and click Next. Step 4. Finally, the system will initiate reverting changes made to system till date and and the process may successfully complete with reboot. Remark: This method to restore Windows 10 to back date can solve most of the issues if you are able to access this feature. Otherwise, you should try below alternative methods. Step 1. Press Win + I combined to open Settings Panel. Step 2. Choose Update & Security option. Step 3. This will open a menu, select Recovery and click Get Started button under Reset This PC. Step 4. You will get 2 options here, either to Keep my files or Remove everything. Choose the first option unless you want to select second one. Step 5. Confirm the Reset process if you agree to proceed with. “Backup” is a very well known term to help users recovering their files in an emergency. it’s often recommended to create regular backups of files and save them somewhere safe. In case of data loss, these backups can easily allow a user to restore their files in easy. In terms of Windows system software, System Image Backup also acts like a boon to help users fixing present issues in minutes. Under this feature, creating System Image takes a snapshot of computer including all its content, which a user can safe anywhere as per their needs. Using this feature has many advantages, the mostly preferred one is its ability to protect all files, applications, personal data, etc, all at once. Step 1. Go to Control Panel and choose File History. Step 2. You can find System Image Backup option in bottom of page as shown in picture, and plug a USB drive to computer. Step 3. Click the system image backup option and browse the explorer window to location where you need the backup to be saved. Step 4. Follow all further on screen instructions to complete the process. 2. On Windows Setup Screen, click Next and select Repair your PC/computer. 4. Choose Advanced System Recovery Options and select System Image Recovery. 5. Choose the installed OS and click the System Image with which you want to recover the system. 6. Follow further instructions to complete restore process. Within these steps, you may also be able to install drivers as required. Once the system is restored, click Next and Finish. There might be some rare cases which happens when a user fail to restore Windows 10 with all above methods. In such instances, one can repair Windows 10 issues or errors by using a bootable Windows 10 installation media. For this, a user must have a Windows 10 bootable USB or DVD to continue. 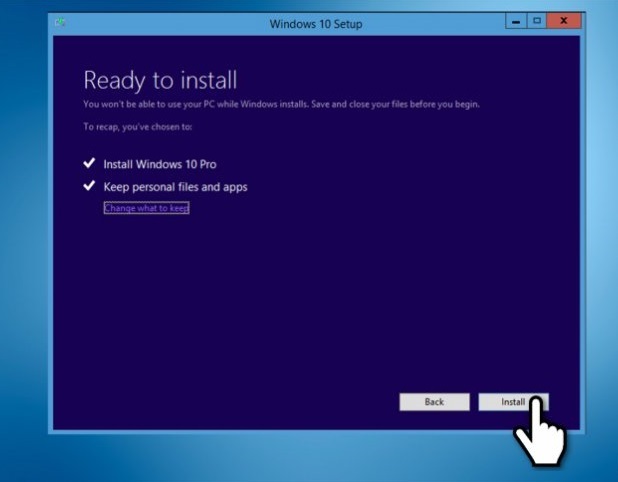 If you don’t have, you can download Windows 10 installation ISO from official Microsoft’s page, but you would have to burn it on DVD or USB drive. Using steps below, this method can be used to restore your system and repair Windows 10 installation to fix all issues. Step 1. Once you are ready with Windows Windows 10 bootable media, connect it to your system. Step 2. Explore the media and execute setup.exe file within it. Step 3. Keep following on screen instructions unless you reach option to Choose what to keep. Step 4. 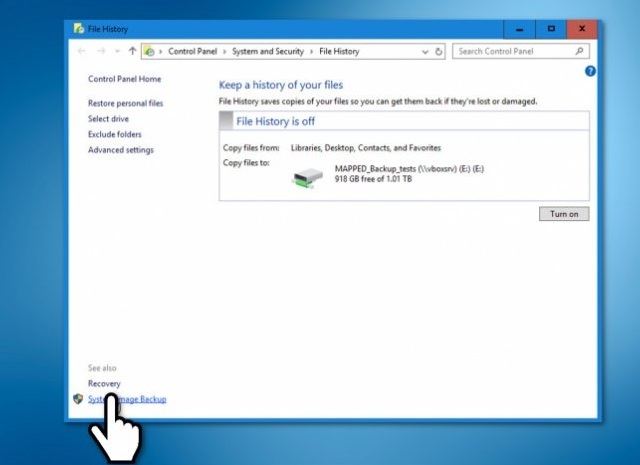 Select Keep personal files, apps, and Windows settings, and press Next button to begin the repair installation. Reimage Repair is a third party PC suite that offers wide varieties of features to keep a system error free as well as optimized and protected against foreign intruders. This can also be the safest way to repair any Windows issues or errors in minutes. All you need to do is to Download Reimage PC Repair, and execute it to install. Once the process is finished, it runs automatically to detect all PC errors, risks, junk files, and many more. Finally, you can click Start Repair button on its interface to proceed complete repair automatically.